Eww, did you just step in what you think you stepped in? One of the great things about being a landlord is enabling people to keep their pets when they rent. But, problems do arise when your tenants allow their pets to leave their calling cards around the property. Not only is it unsightly and smelly, but it can spread disease if not cleaned up, not to mention ruin the looks of your property’s lawn and may actually violate some municipal ordinances. So, how do you prevent doggie land mines on your property? Here are some ideas that will hopefully eliminate the poop problem. Make it easy for your tenants to be good dog owners. Have waste cans and doggie poop bags available in strategic places where pet owners take their dogs for a walk. Post signs explaining that all pet owners need to clean up after their dogs or face a possible fine. Your tenants are more likely to pick up after their pets if you make it easy for them to do so. They’ll appreciate that you’ll help keep the area clean if they do their part. If you have some extra space, have a fenced in area where owners can let their dogs off leash. Be sure to have a sign with rules on it and a pet pickup station so that dog owners can clean up after their pet. Obviously the rules still have to apply in the dog park as it does on other parts of your property when it comes to picking up poop, but the pet owners will likely be encouraged to keep the area cleaned up. After all, nobody wants to play in the toilet. When setting up a dog park on your premise, be sure that it is only accessible by residents and be sure that all the tenants sign waivers regarding their pets. When in doubt, talk to a lawyer to get the exact wording so that you’re protected should anything occur. While this may not stop inconsiderate pet owners from leaving presents in there, at least the poop is out of the way of normal foot traffic. What’s more, it’s likely that considerate pet owners will let you know whose dog is responsible for leaving those nasty packages. 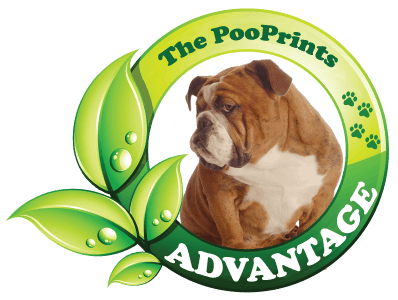 Have each of your tenants who own dogs sign a contract stipulating that they are responsible for cleaning up any and all poop that their dog produces on the property. Failure to pick up after their dog should result in a fine, even after the first time. This should make pet owners more likely to clean up after their pets and keep the grounds looking good. Of course, you have to be able to catch them in the act. This is why if you have a large apartment complex, you may need to have your staff fully briefed on keeping an eye out for pet owners who refuse to pick up after their pets. Once the pet owner is fined, it’s likely that they’ll pick up after their pet in the future. If they refuse to clean up after their dog, the next step would be an increasing fine for each violation. Because you can’t be around all the time, you may want to consider the newest method of fighting unwanted doggie doo. PooPrints is a new service that allows you to track a dog’s poop through its DNA signature. Some apartments are requiring tenants to pay for their own dogs’ DNA testing. Then, when a dog leaves his calling card and his owner fails to pick up after him, you can send in a sample for testing. Obviously, this requires no extra staff to keep watch, and it pretty much proves who the culprit is. There’s little chance of blaming the wrong pet owner and dog, and you don’t have to punish the good pet owners for one bad apple. While dog poop is a fact of life, it doesn’t mean that you have to step in it. By offering incentives such as pet pickup stations, trash cans, and a dog park, you’re likely to nip this one in the bud.